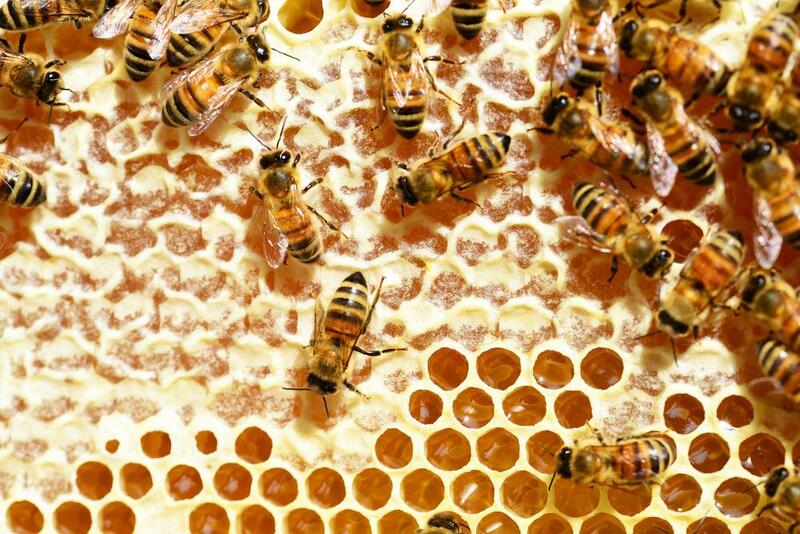 What Is Honey, And Why Do Bees Make Honey? The process of making the sticky-sweet stuff is fascinating and a little gross. Most of the buzz about bees focuses on their role as pollination machines. 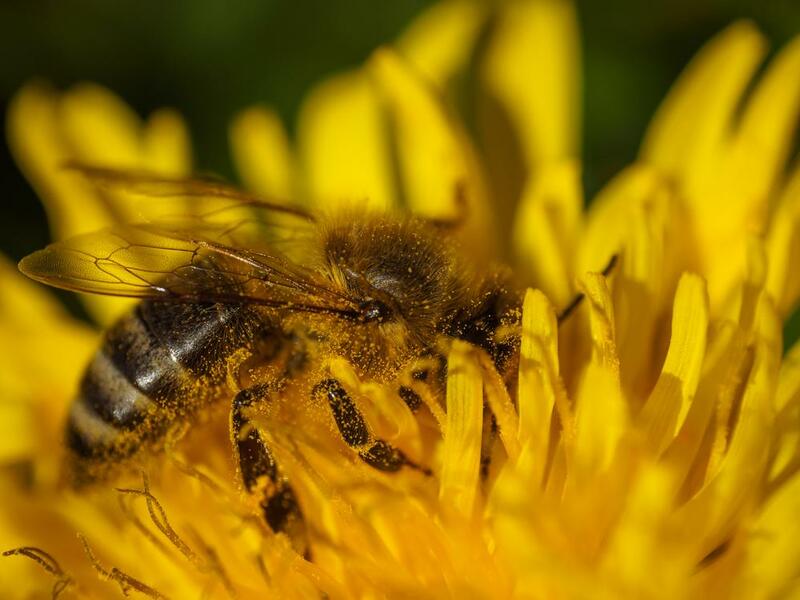 As they travel from flower to flower in search of food, they conveniently happen to help plants reproduce — and many of the plants bees feed on become our food. Seven species of bees have been on the endangered species list since late last year, and the threats they face trickle up to us. Without bees around to pollinate crops, many species of plants will vanish. As important as pollination is to us, bees don’t even realize they’re doing it. Propagating plants is just a helpful side effect of their mission to make honey. This liquid gold is more than a sugary snack. It’s crucial for keeping bees alive — and there’s a lot more you probably didn’t know about the sweet stuff in the bear-shaped bottle. In short, honey is bee food made from nectar. Making honey is a fascinating industrial process in which bees basically run their own food factory. Here’s the simplified version: bees fly from flower to flower, collecting the nectar. They bring it back to the hive and give it to the worker bees. The worker bees are the chefs who turn the raw nectar into honey. Once the honey is made, it’s stored in a honeycomb. In times when food is scarce, like the winter, bees dip into their honey reserves and enjoy the golden liquid. An astonishing number of people ask, “Is honey bee poop?” Thankfully, no. Honey is not made from bee poop. But making honey is an intimate process that involves regurgitation and bodily fluids. So, is honey bee vomit? Basically. Even more, it’s the vomit of many different bees. Of course, the answer to “what is honey” is a bit more complex than simply saying that it’s bee puke. Because honey is regurgitated from a special stomach that does not digest food, it’s a bit oversimplified and controversial to say honey is made from bees blowing chunks. Related: What Is Raw Honey, And Is It Really Worth The Buzz? Here’s everything you need to know about how bees make honey. Forager bees fly from flower to flower, collecting nectar in a special, separate pouch called a honey stomach. When their crop is full, the bees return to the hive to start the process of making honey. After arriving back at the hive, forager bees regurgitate the nectar into the mouth of a worker bee to take over. Worker bees take this ingested, regurgitated honey and process it for about a half hour before passing it to another bee to do the same. Once enough bees have ingested and regurgitated the honey, it goes to the honeycomb. Honey is still pretty watery at this point, so worker bees fan the honey with their wings to evaporate some of this water. By the time honey is finished, it goes from 70% water to 18.6% water in the final product. Then, bees cap the honeycomb cell with beeswax. Beeswax is liquid secreted from glands in a bee’s abdomen that hardens into wax. Making honey is such a labor-intensive process that it takes at least eight bees all of their lives to make just one teaspoon. To make a pound of honey, it takes 300 bees three whole weeks. Ripened honey is heavily concentrated. Because nearly all of the water is evaporated, no microbes can grow in it, so it can’t be contaminated by bacteria or fungi. This is also why honey never spoils. Theoretically, you can eat a jar of honey that’s 1,000 years old, and you won’t even notice the difference. We dare you to try that with any other food! Bees make honey because it’s what they eat. They make extra in the summer when flowers are plentiful so they have enough to get them through the cold season. Bees don’t make honey for humans — they make it for themselves. What’s more, they can only eat honey from their colony. If they’re given food from another hive, viruses and diseases spread. Skilled beekeepers know how much honey their bees require, and they are very careful not to take any more than that. Less ethical beekeepers will replace honey with sugar. Unfortunately, this doesn’t have the same nutritional value actual honey does. Bees aren’t the only creatures who love the golden liquid. That stereotype of Winnie the Pooh getting his hand stuck in a honeypot comes from reality. Turns out, bears, badgers, and other animals have a sweet tooth and like to steal honey from bees. How Many Types of Honey Exist? There are more than 300 types of honey in the United States, according to the National Honey Board. Each type has a unique color, taste, aroma, and texture, which depends on the colony and the type of flower bees take nectar from. Clover: This is the type of honey most people think of. It comes from the clover flower and has a mild and delicate flavor. Tupelo: This type of honey is made in the Southeastern US, and it comes from the tupelo tree. It has a light color and mild flavor. 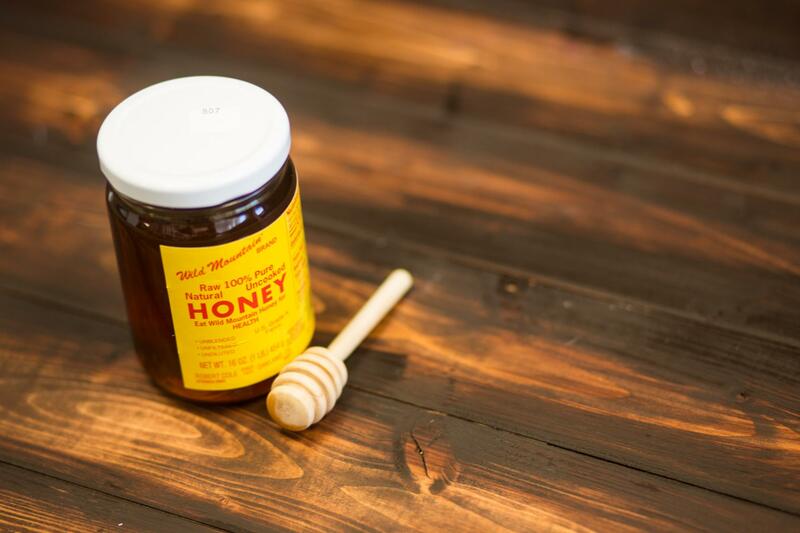 Unlike some types, tupelo honey will not granulate. Avocado: It sounds strange to think of honey coming from the avocado plant, but it does! This honey has a dark color and a rich, buttery taste, just like the avocado. Orange blossom: This sweet citrus type can only come from oranges, but it’s often blended with nectar from grapefruit, lemon, and lime plants. You’ll find orange blossom honey in the southern United States, like California, Florida, and Texas. Very light in color, it has a distinct flavor and scent of orange blossoms. Manuka: This honey comes from Australia and New Zealand and is typically used as an alternative medicine. There is some scientific evidence that it can help heal wounds and burns. White honey: This comes from Kiawe trees that grow in Hawaii’s Kiawe Forest. White honey is best known for its creamy, pearlescent white color. Forest honey: Also known as honeydew honey, it doesn’t come from bees and isn’t true honey. Forest honey is excreted by insects, typically aphids. It’s dark with a strong flavor that’s also less sweet than floral honey. It’s considered a delicacy in parts of Europe and New Zealand. From flower to table, creating the liquid gold on the grocery shelf is way more intricate and involved than you probably realized. The next time you add a spoonful to your tea, be sure to thank a bee. Between Colony Collapse Disorder, climate change, and chemical use, these striped insects are in trouble. Learn more about what happens if bees disappear and what you can do to save them here. "Is honey bee vomit? Basically. Even more, it’s the vomit of many different bees. " Musk will reveal a solar roof at tomorrow’s unveiling. Whether or not this solar roof could be adapted to fit on top of a Tesla remains to be seen. Despite the public health and economic benefits, the EPA BEACH ACT grant program is on the federal budget chopping block.